HONOLULU, Hawaii, June 10, 2010 (ENS) – Hawaii elected officials as well as community leaders representing over 100,000 residents of the state have formed a coalition that is urging the U.S. Senate to pass a comprehensive climate and clean energy bill this year. On World Oceans Day, June 8, the coalition met to declare their call to action and explain why federal climate and clean energy is so important to the island state. As an archipelago, Hawaii is especially vulnerable to the effects of climate change and oil catastrophes such as the ongoing Gulf of Mexico tragedy. “Back in 1977, the oil tanker Hawaiian Patriot caught fire and sank 300 miles off the coast of Honolulu spilling 30 million gallons of crude. This was roughly three times the 10.7 million gallons that spilled from the Exxon Valdez,” recalled Mike Gabbard, a Democrat who chairs the State Senate Energy and Environment Committee. “The question is not if we will have a disaster, but when, if we keep importing over 40 million barrels of oil each year and do not make a major push toward renewable energy now,” Gabbard warned. 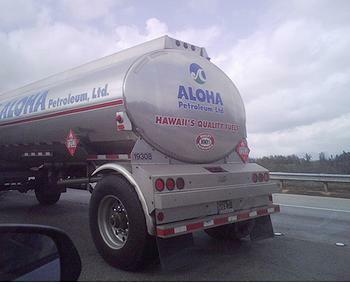 Hawaii imports about 45 million barrels annually and burns over five million gallons of oil per day to meet roughly 90 percent of its current energy needs. It costs nearly $10 million daily to buy this oil. On average, each Hawaii resident produces approximately 18 tons of carbon dioxide each year. The call to action was organized by the Conservation Council for Hawaii, the Hawaii affiliate of the National Wildlife Federation. All 50 states gain economically from strong federal energy climate policy, the coalition declared. If such a bill is enacted, Hawaii is likely to gain between 4,000 and 10,000 high-paying clean-energy jobs by 2020, according to a recent study by Dr. David Roland-Holst with the University of California, Berkeley, cited by participants in the World Oceans Day event. Speakers from the Native Hawaiian, faith, peace, and justice communities pointed out that native people and the poor are disproportionately impacted by climate change. “I depend on the ocean to feed my family and support my culture,” said William Aila, cultural practitioner and community leader from the Waianae Coast. “Our kupuna recognized that working in harmony with the environment would protect our fisheries, estuaries, and reefs; it is time we lived up to those ancient and yet relevant ideals. Our kupuna also understood the difference between talk and action. It is now time for the U.S. Senate to stop talking and take action,” Aila said. “Poor communities around the world have been made to pay the highest social costs of climate change and irresponsible energy policies,” said Kyle Kajihiro, Program Director for American Friends Service Committee Hawaii. “The poor must not be unjustly burdened with the cost of fixing this problem. This means that a comprehensive climate and clean energy bill must ensure that poor and vulnerable communities are not left behind by the changes required for healing our energy and climate crisis,” Kajihiro said. “We can pay for this if funding for America’s wars, now at $1 trillion, and at least a quarter of the military budget were redirected to meet human needs, including responsible climate and energy policy,” he said. A resolution urging the U.S. Senate to pass a comprehensive climate and clean energy bill this year was endorsed by the Democratic Party of Hawaii at its state convention in May and will be transmitted to members of Hawaii’s congressional delegation, members of the U.S. Senate, and President Barack Obama. The coalition views its call to action as timely given that Senate Majority Leader Harry Reid, a Nevada Democrat, has alerted Senate committee chairs to have comprehensive energy legislation ready by July 4.